That is a really nice and rare car that deserves to be restored to original. Will look great with the original color and white top. Great find. 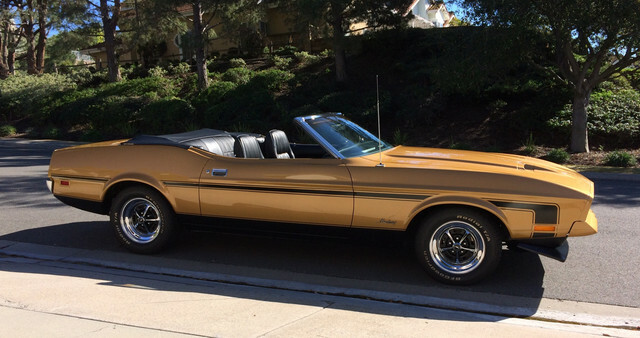 (03-21-2019, 04:56 PM)jeff8877 Wrote: That is a really nice and rare car that deserves to be restored to original. Will look great with the original color and white top. Great find. In 1972 the cars with the 351 CJ engine got the NASA hood or as some like to call it the Ram Air Hood as standard. One thing to note if your restoring to original is that this hood was ALL body color. Even though they came with this hood none of the convertibles got the blackout center portion. Here is a pic of my 72 Q code restored to original. It's build date is just a few days from yours. I also think it would look great restored to original specs. Classic. For sure this car needs to be restored back to original. Nice find.